The short par-4 8th, nearly reachable from the correct tees, gives a sense of the character of The Deltona Club’s property. 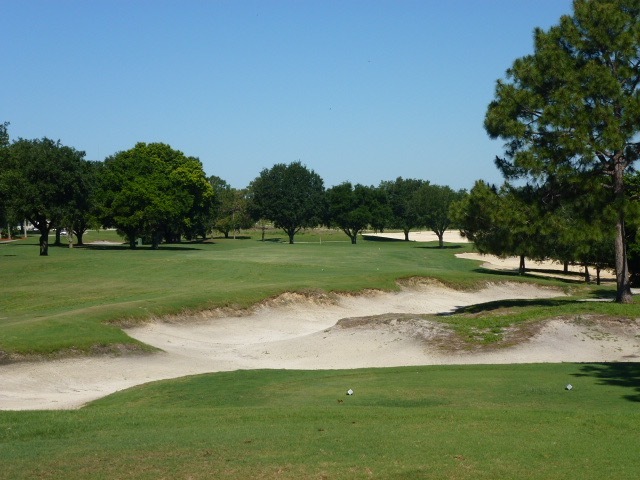 Florida insiders always spoke highly of the old Deltona Golf & Country Club for its nostalgic simplicity, sandy foundation and beautiful elevation changes that qualify as exotic for this flyover region between Orlando and Daytona Beach. Unfortunately the holes themselves had less appeal. Like most unmodified courses of the era, the 1964 design by regional architect David Wallace was exhausted, its gravity faded away. Which makes the resurrection Bobby Weed and associate Chris Monti performed in 2007 nothing less than stunning, some deft sleight of hand alchemy that transformed dull in to dreamy and poor into profound. What Weed and Monti did to the property was less a renovation than a conjuring. By gouging away elongated sections of coarse rough in the areas bordering the holes and near greens they summoned into existence the site’s un-utilized natural superpowers: deep wells of sand and topography that money can’t buy (at least not on this budget). 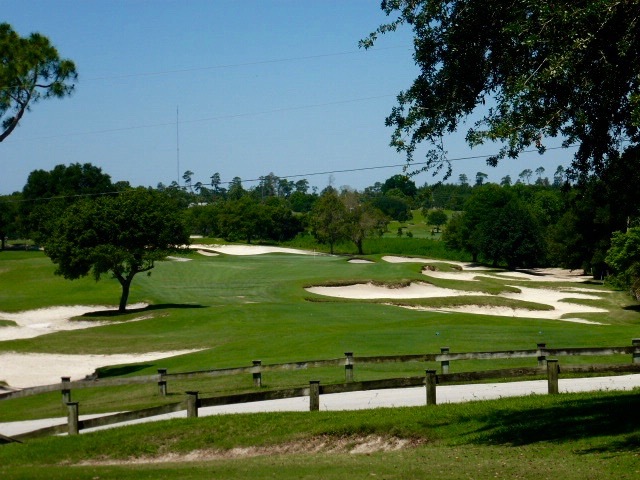 This potential was always available but never employed, and it now makes The Deltona Club one of the most visually dramatic golf courses in Central Florida. 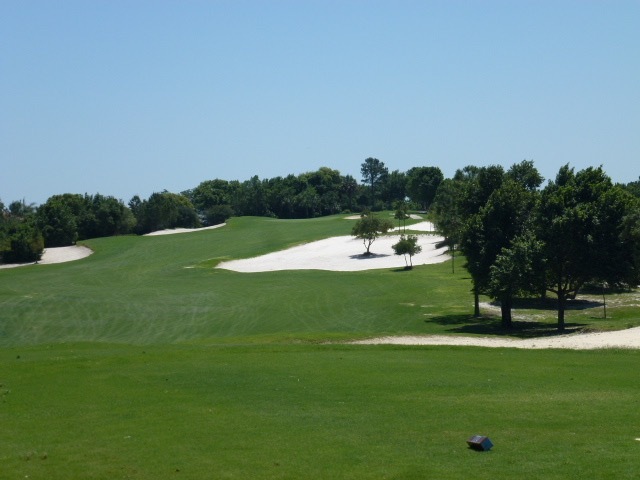 Grass and rough areas that were largely out of play were trenched out and turned into sand barriers that require no irrigation and minor maintenance. The sandscape buffers create a heightened sense of +/- outcome on nearly every shot, and the cutting away of turf actually increases hole width and gives sideways movement in the old, linear fairways. There’s an enormous amount of latitude off the tee — even for high handicap players — while protruding fingers of sand on holes like 5, 7, 12 and 15 give bigger hitters a chance to flirt with corners and work their drives off sideslopes. The routing is two out-and-back nines with holes coupled together between residential pockets, but their breadth and arrangement across a smart land plan gives the course the feel of core golf. The original green locations were almost all excellent, sited on crests and ridges, but they’d become small and dull. The putting surfaces and surrounds were enlarged to better match the rolling scale of the landscape, although that the lack of more prominent contour is a letdown, especially given how right everything else is. After adding acres of fearsome looking sand barrens, Weed might have been wary of overwhelming the local clientele, but I think that doesn’t give them enough credit. Nuance is squandered on a setting like this. The gorgeous par-5 13th weaves through the sandscape toward a deep, notched green at the property’s highest point. The club’s best holes — 13 through 16 — climb almost 50 feet up and down the highest point of the prehistoric sand ridge that runs through town. 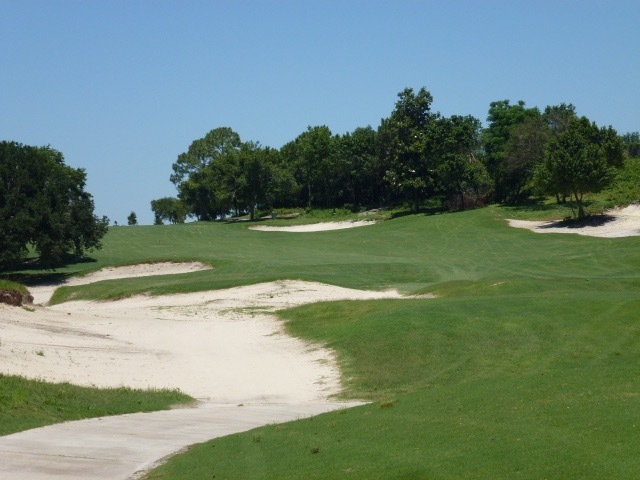 The memorable run includes a rising par-5 with a deep and deceptive green, a long downhill par-3 across a minefield of bunkers and a short par-4 with an uphill tee shot and blind approach. The bunkers and a gentle flow of land encourage a right-to-left drive to get into position to hit the fallaway green at the long par-4 6th. Deltona is a page turner tee-to-green with great sequencing plus elevations and ground movement that place it in a microscopic class of Florida courses. Holding it back from an even higher score are greens that call for slopes and kickers and bowls that mirror the excitable terrain. Two new holes, the short par-3 9th and the 300-yard par-4 18th with a tree 75 yards in front of the green, are also weak finishers. Weed had to re-jigger a few things in this section of the property to make space for them plus future condominium development that, if completed and filled, would subsidize the club’s long-term finances. Real estate overriding golf is nothing new in these parts — thankfully its impact here is minimal, with the real action taking place everywhere else (92). There are very few places in Florida that can offer sweeping uphill tee shots like this one at the short par-4 15th. The second shot to a skyline green, at least from this position. 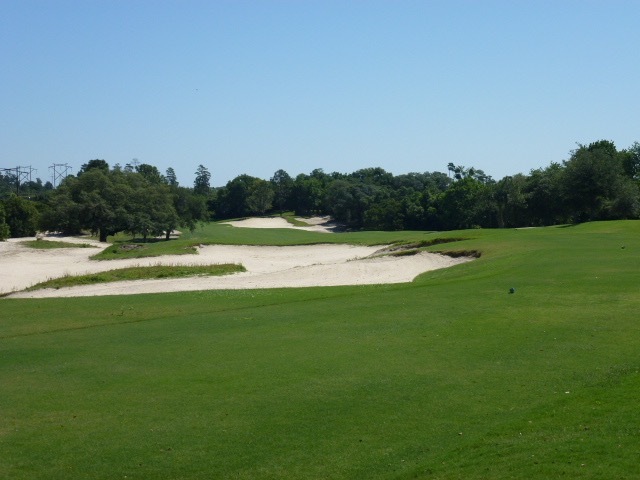 A few days ago ( March 2019), I played 9 holes at WP9 ($18) in the morning and 18 at Deltona ($24) in the afternoon and was blown away by Deltona. Yes the course needs some TLC, but I simply don’t understand why this is not a must play when visiting Orlando. The rolling firm terrain, strategic waste areas and bunkering are beautiful and playable. And create a level of excitement and giddiness on the tee box that I haven’t felt in Central Florida outside of driving south to Streamsong. I am sure there are private clubs in the area that would compare, but for a daily rate course Deltona is dollar for dollar the best golf I have found in Central Florida. Bart, I couldn’t agree more. Deltona is a must play for anyone in the area–it’s definitely worth the little bit of extra time in the car. It represents all that’s good and fun about public golf.